I read this article and found it very interesting, thought it might be something for you. 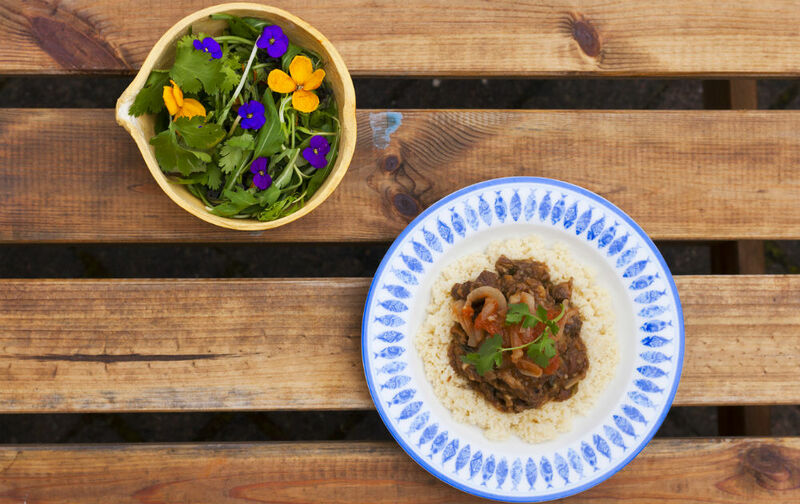 The article is called Recipe: Temple Bar Food Market Goat Tagine Makfoul and is located at https://www.totallydublin.ie/food-drink/recipe-temple-bar-food-market-goat-tagine-makfoul/. All the ingredients needed for the following recipe can be found in the Temple Bar Food Market including store cupboard ingredients, which are available from The Good Crop. Heat a large frying pan over a low heat to toast the cumin and coriander seeds, the cloves and peppercorns for a few minutes, stirring so they don’t burn. Transfer to a pestle and mortar and pound to a powder. Heat a tablespoon of oil in the same frying pan, add half the meat and brown all over. Transfer to a dish and repeat with the remaining meat, adding more oil if you need to. Set the shoulder aside, reduce the heat to medium­low, add a little more oil with the garlic, ground spices, ginger, paprika and some salt. Toast until the aromas start to fill the room, then stir in the browned meat with all their juices, coating with the spices, along with enough water to cover the meat. Cover and reduce the heat to low. Simmer for 1 1/2 hours, or until the meat is very tender. 45 minutes before the end, add the apricots and almonds. In the last 40 minutes, heat a tablespoon of oil in a large saucepan over medium-low heat. Fry the onion gently for 10 minutes or so, until tender. Add the cinnamon and honey, butter and sliced tomatoes, and cover. Cook over medium heat for these last 40 minutes. When the goat is tender, stir in the coriander, leave to stand for 15-20 minutes, and serve with makfoul on top and Le Levain sourdough on the side.